Business Owner? Think About a BOP. 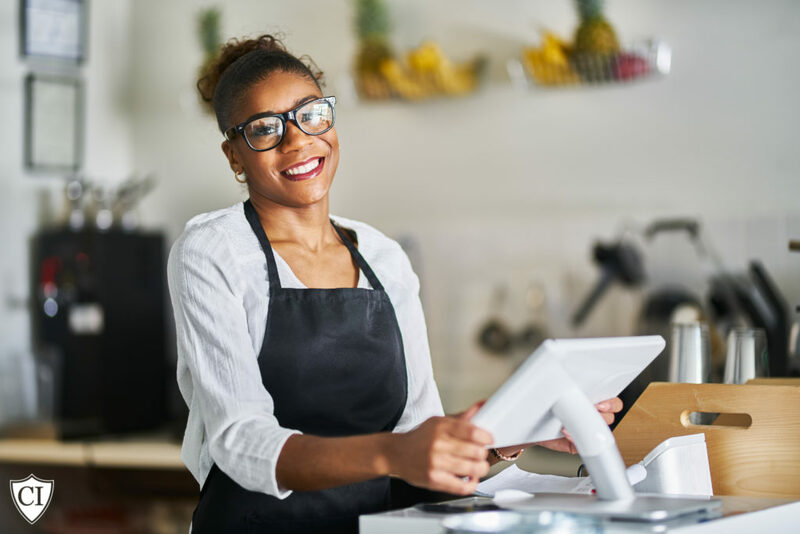 Starting or operating a business is enough responsibility on its own–navigating the ins and outs of your chosen profession, pleasing customers and managing your operation–without the additional stress of figuring out the complexities of commercial insurance. Anytime something can be streamlined, it’s worth investigating. As a business owner, you appreciate when something can be made simpler, although, to paraphrase Albert Einstein, you shouldn’t make it any simpler than necessary. There are times when complexity is warranted, but for the most part, simple is best. Insurance is one of those things. To make it as easy as possible, when that’s the best choice, carriers often offer a “BOP”, or Business Owner’s Policy. This is coverage that takes a few of the most needed policies for business owners and combines them into a package, which can usually be a better deal financially than orchestrating all of the policies individually. General Liability. You need this foundational policy to protect you against situations where you might be liable for a third party’s injuries or damages. Business Property Insurance. This provides coverage for leased or owned buildings, equipment, furniture, and important papers. Business Interruption. If an event disrupts your ability to operate, it doesn’t mean your bills will stop. Procuring Business Interruption coverage can be a business life saver. Your business is unique, and that means your company’s needs will be unique, too. Speaking with a professional who can help you figure out the best coverage for your particular business is important. It may be that a BOP would help your bottom line, and you may also be in a situation where you need the additional help of an Umbrella policy, or endorsements that go beyond the scope of a BOP. Understanding basics is a good start, and will help you take a hand in the risk management of your business, but you need an experienced specialist to guide you through insurance specifics. Call us today at 1-877-907-5267 to speak with one of our insurance professionals and get the plan that’s right for you. Going into business sometimes means navigating new strategies and encountering unfamiliar terms; the insurance aspect can be one of the most confusing, especially if it’s not a world you’ve dealt with much in the past. Researching what you need, what’s a good idea, and what you can do without are some of the first steps in understanding what your business will require, insurance-wise. Defining terms, and learning what each type of coverage is and isn’t is a good practice to go along with that. General Liability is a policy that insures you against claims from a third party that allege bodily/personal injury or property damage. It typically covers legal costs like settlements, defense fees, and other expenses. This is a building block for most businesses–you may hear it referred to as “Slip and Fall” insurance and if you’re a contractor, clients you work with may require it in order to do business together. Professional Liability is also known as Errors and Omissions. This coverage generally applies to the professional who offers services and is typically concerned with financial damages that arise out of mistakes or lack of completion. It’s more specific than a General Liability policy and applies to the arenas that need “expertise”. Lawyers, IT specialists, and many types of contractors and freelancers benefit from this coverage. It may not be required by your state or professional organization, but it could be a very good idea that might save your practice/career in case of a claim. No matter what type of business you engage in, consulting with an insurance specialist about your business insurance needs is wise and could be the most important part of your business plan. Lawsuits, even those that are unfounded or frivolous, can often end business dreams, and the surest way to ensure your future–even if you’re very good at what you do–is to be certain that you’re insured to the best of your ability. Risk management is an art, and our business is helping you protect your business. Call us today at 1-877-907-5267 and let one of our specialists guide you in the search for finding the coverage that’s right for your business. Entrepreneurship is still at the heart of the American dream; working for yourself can answer a lot of problems, but it can also create some if the insurance for your home based business isn’t tailored to your specific situation. Recent statistics indicate that home-based businesses number in the tens of millions, and growth is projected to continue. Whether you’re consulting, freelancing, or creating and selling, a home-based business can offer you a way to work for yourself without investing in another location, leaving you more financial room to invest in your business. Part of that investment needs to include sufficient insurance. Many home-based business owners may neglect insurance altogether, or make the mistake of under insuring. This may keep your costs low initially, but in the long run, you might end up paying more for events that arise, that could have been covered by paying a regular premium. If you’re using your car, or another vehicle, Commercial Auto insurance may be necessary, as well. Professional Liability applies to injury or damage caused by negligence, and you may want to consider Advertising Liability, to protect you from slander, libel, or copyright infringement. The freedom that comes with a home-based business does have an equal responsibility, and making sure that you develop an adequate risk management strategy–that includes insurance for all the aspects of your home based business–can be the deciding factor in whether or not your enterprise is a short-lived dream or a lifelong pursuit. Reach out to us today at 1-877-907-5267 to talk with an experienced insurance professional about insurance for your home-based business. Is your photography business covered? Most individuals who engage in photography as a business venture aren’t doing it out of a cold, calculated desire to make money; it’s usually a situation where a fondness for an artistic pursuit has crossed paths with a way to make a living–or at the very least, a little extra money. While it’s the best of all worlds to be able to earn money doing something you enjoy (and are presumably good at), the ideal situation would be one where that business has the means to continue for a long time…that’s where photography insurance comes in. Type of photography. Are you simply shooting quinceaneras? Contracting with magazines? Going to clients’ homes? Your photography insurance is based on the type of photography you’re doing. Additional services. Do you offer videography? Drone photography? Do you provide lighting? Editing? Mobile or Studio? If you have a physical studio, your photography insurance can cover the property. If you’ve been in operation for a while, and have a current photography insurance policy, you may want to investigate other options and get a few quotes to see if you can economize. It’s always good business to make sure you’re maximizing your profits, but the best business is making sure that unplanned events don’t derail your dream. When you look at your existing photography insurance, examine the types of risks it covers, and ask yourself if you need to expand it, rather than try and whittle it down. Photography is rewarding, but it’s also quite a carrier for risk. Whether it’s props and lighting, in a studio or on location, or the possibility of damages while in a client’s home due to negligence or simple accidents, you don’t want to lose the unique opportunity you have because an unforeseen risk wasn’t covered by an available photography insurance policy or add-on. Call today to speak with one of our insurance professionals at 1-877-907-5267, and see what kind of photography insurance is right for your business, or click here to start the process for getting your quick, free, competitive quote.